President Michel Aoun met on Monday with Iranian Foreign Affairs Minister Mohammad Javad Zarif at the Baabda Presidential Palace. Following the meeting, Aoun said that Iran has a role in helping to achieve the return of refugees, stressing that the newly formed Cabinet will put this dossier on top of its priority. Meanwhile, Zarif conveyed to Aoun a message from Iranian President Hassan Rouhani, inviting him to visit Tehran. Talks also featured high over ways to enhance bilateral relations. 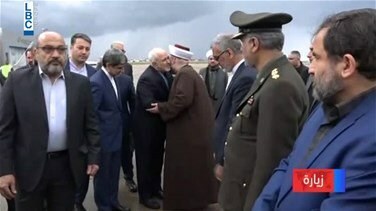 Zarif who arrived to Beirut on Sunday also met with Speaker Nabih Berri in Ain el-Tineh whereby he reiterated that Iran is fully ready to cooperate with Lebanon on all levels. This as Zarif met also with his Lebanese counterpart Minister Gebran Bassil and held a joint press conference with him. During the press conference, Zarif said that the Iranian government was “deploying the necessary efforts to resolve” the case of Nizar Zakka, a Lebanese citizen who has been arrested in Iran since 2016. This as Zarif also met with Hezbollah Secretary General Sayyed Hassan Nasrallah. “This assistance led to making victories in more than an arena and field,” Nasrallah added. He also voiced hopes that Tehran would continue its support "despite all conspiracies and pressures." For his part, Zarif stressed Iran’s firm stance in standing beside Lebanon and its state, people and resistance. He also expressed Tehran’s readiness to offer all forms of assistance and cooperation in different suggested dossiers.